which enables you to figure something out. 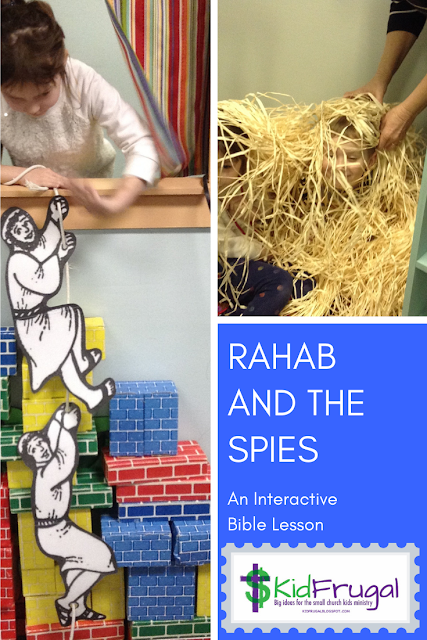 It happens to me all the time in piecing things together in children’s ministry. It happened when I was trying to figure out how to make a fiery furnace. It finally occurred to me to use the puppet stage that was already up. Then I needed a lions’ den. And then I needed an empty tomb. I did not plan to use a puppet stage to make all three items, but God did. At each juncture, when I had to figure out how to make the item I wanted, I saw a connection with what was right in front of me. I call it the “aha” moment, when my brain connected objects I had with objects I needed. I credit God with “opening” my eyes to make the connections. Here is the blog on the fiery furnace and the lions' den. The empty tomb blog will be out later. So here is this great picture that may give one of my readers an idea or insight into something they can do for telling the story of Daniel and the Lions’ Den. Or maybe you will get an idea for something totally different. Here is an idea I got. Make a giant paper-mâché lion head for telling the story of Daniel and the Lions’ Den. 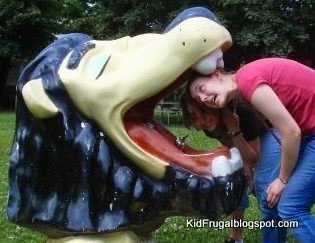 Then have kids stick their heads in his mouth, and experience being safe in the mouth of the lion, just like Daniel was safe while in the lions’ den. Of course, the Bible did say that God shut the lions’ mouths. This guy’s mouth definitely is not closed. 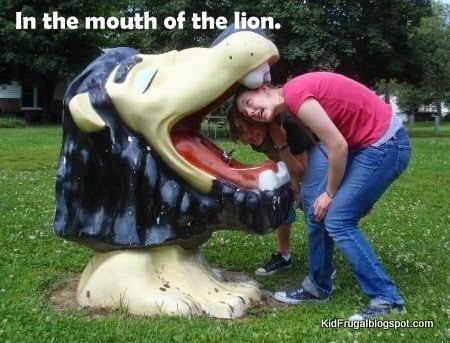 Nevertheless, I know kids would LOVE to stick their heads in a lion’s mouth. And the point is still the same – this fake lion cannot hurt us, and the real lions could not hurt Daniel. So enjoy this picture, and may you have many “aha” moments in your ministry.